So that has the web buzzing with speculation over what it is that Facebook is about to announce that’s so awesome. 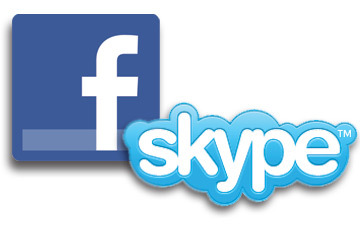 1) Video Chat via Skype: one of the rumors that are at the forefront of the buzz comes from Mashable’s speculation that Facebook is teaming up with Skype to bring video conferencing and video chat integration into the current Facebook chat platform. I’m not so sure though if I’d call this “awesome” since Gmail has been offering video chat for quite some time now. But I will admit that with Facebook being as popular as it is as a social network, video chat could gain more traction on Facebook than it has with Gmail. 2) The Facebook Browser: and no, I’m not talking about RockMelt. Rumors are flying high that Facebook will be launching their own browser. If this happens, they will be joining the already hyper competitive market of the likes of Google Chrome, Firefox, Internet Explorer, and others. 3) Facebook Media Dashboard: that’s right, all of your music, videos, and photos in one place for all your friends to interact with and share. Of course, no media dashboard would be complete without the ability to purchase media, and if Facebook integrated this capability, we could be talking also about an iTunes competitor.